Finding a sport he loves has turned Ben Bertram’s life around. The 12 year old from Sprowston was recently diagnosed with metaphyseal chondrodysplasia, a rare bone condition that affects growth, as well as having epilepsy and autistic tendencies. Ben was frustrated and angry, feeling left out of thesports and activities that his friends were doing. Then last year he took up wheelchair tennis and he hasn’t looked back. 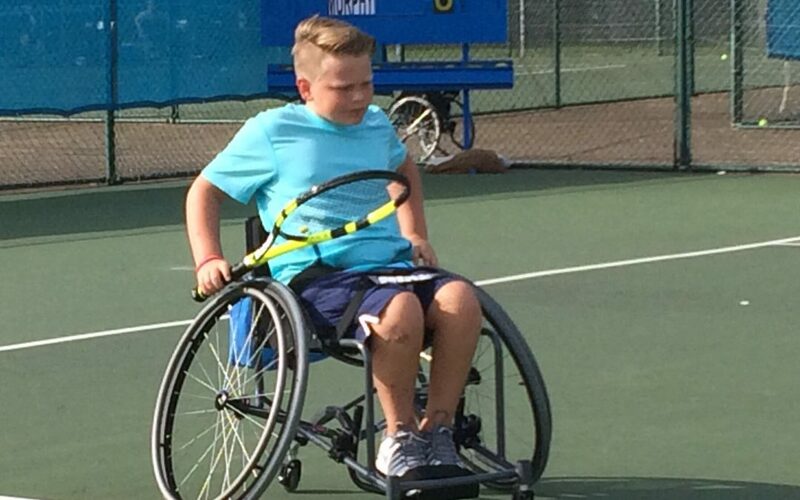 Having identified a lack of inclusive opportunities, Active Norfolk worked with the Norfolk LTA’s Disability Lead to coordinate a number of free sessions at various locations, which is where Ben got his first taste of wheelchair tennis. Active Norfolk then worked to identify a tennis facility with the interest and appropriate provision to support a sustainable inclusive tennis club. where he came away with the Runner Up spot in Junior Singles, narrowly missing the top spot by 2 points. Not only does Ben love playing the game, but the family have found that spending time with other players and getting to know their families has introduced them to a whole new group of peers, and the social side of the sport and the tournament schedule has brought Ben and his family a lot of enjoyment.